Disc (circular) saw is a reliable and indispensable tool without which not to do when building a country house or Villa. 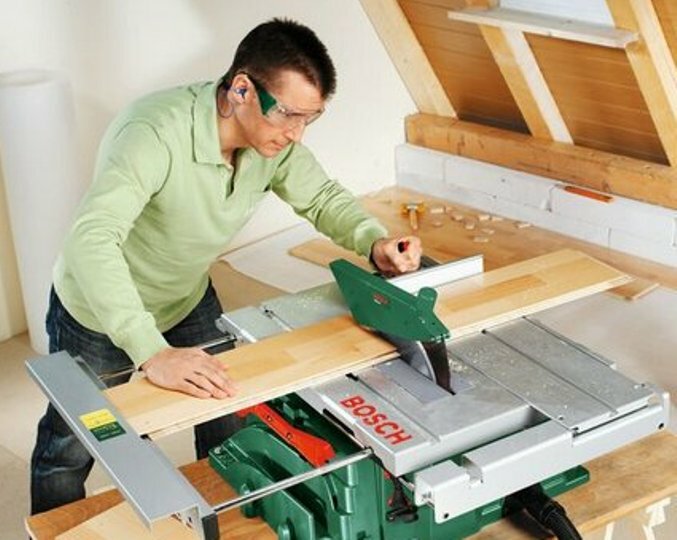 It is superior to other types of saws according to the cleanness of the cut and precision, especially if you want to cut along the boards or timber. The service life of the saw blade is not least determined by the quality of its sharpening. Correct and timely sharpening is particularly important for the low-power circular saws. Stupid disk increases the load on the motor, which overheats and can fail. - increased temperature of the protective casing of the engine (until it smoke). Sharpening circular saw blades is produced with the back surface, which is at work facing to the processed material. The easiest way to sharpen a disk directly in the machine, although you can remove it for sharpening. When sharpening in the machine, unplug the power cord from the wall outlet (to avoid accidental start of the unit). Podkinte disk, placing on both sides of thin wooden bars and pushing them to the saw teeth. Mark with a marker tooth which to begin sharpening. Sharpening of the first tooth, remember the number of movements with a file, because the other teeth to sharpen with the same effort and with the same number of movements. If you prefer to remove the disc from the machine, clamp it in a vise with wooden planks and exactly follow the above procedure. As grinding of teeth rotate the disk in a vise. At the end of grinding of all teeth, insert the disc into the machine, turn it on in network and sawed unnecessary wooden block. In case of strong noise or uneven flow of material, check whether the same saw teeth height. For this the cutting edge, lift the handle and then rotate the disc a full turn in the direction opposite to the direction of rotation. Inspect the disk. Each tooth will remain featured, which allows to reveal the teeth that is different from the other in height. Gently reduce file the size of the long teeth. Higher quality is achieved by grinding on a special grinding machine, which may not always be available to the house master.